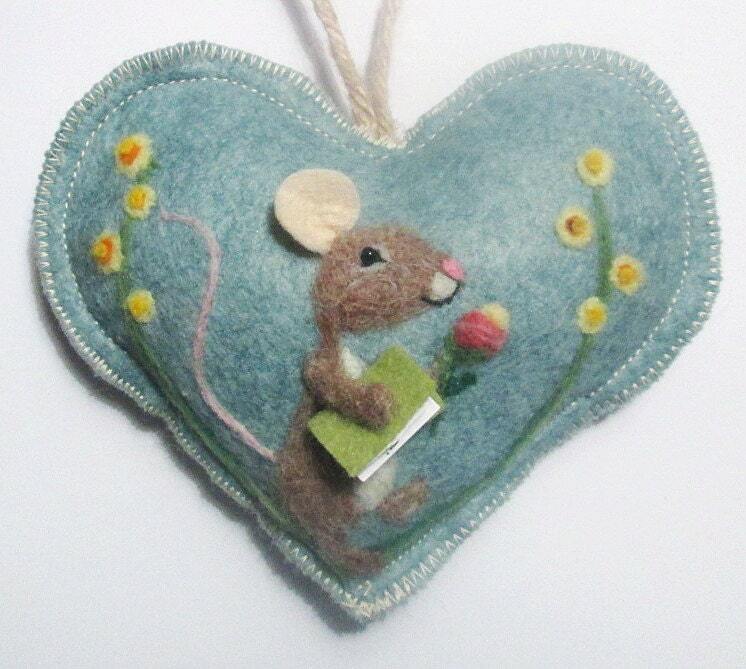 Here is a needle felted bee bringing a valentine message, needle felted onto a creamy beige heart. 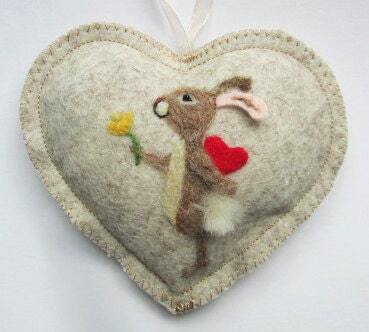 The Heart comes scented with lavender or i can make it scent free. 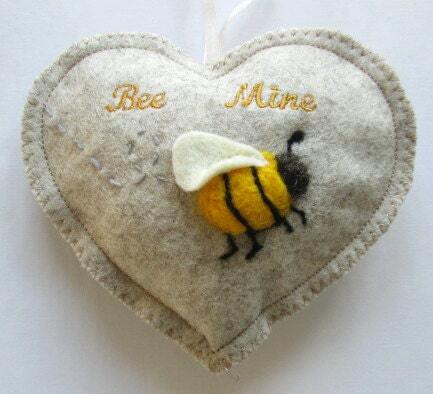 The design is needle felted with Somerset and Scottish wool and the bee is in Full Relief - making the heart attractive from many angles. My hearts can be gifts or cards or all in one! Bee enjoys being dangled from any handle or peg around the house. 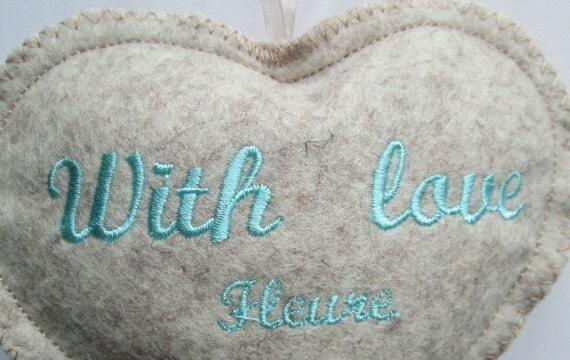 A sweet heart is an ideal gift for many occaisons - Good Luck, Happy Birthday, teacher's gift, New Home, Baby Shower, Christening especially with their name embroidered on the back. Tooth Pillow - all my hearts make cute tooth fairy pillows with their little pocket on the back. I make all hearts on demand so let me know which scent you would prefer. ( lavender or winter spices) and just drop me a note with the name if required. 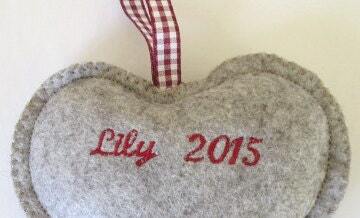 I am ready to ship her in three days.